Louis Charles Ruotte (1754-ca. 1806), after a watercolor by Jean Louis Prévost (ca. 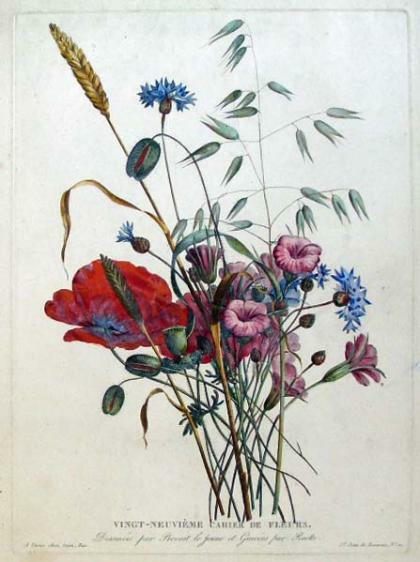 1760-after 1810), Vingt-neuvième cahier de fleurs (Twenty-Ninth Book of Flowers), ca. 1805. Stipple engraving with hand coloring. 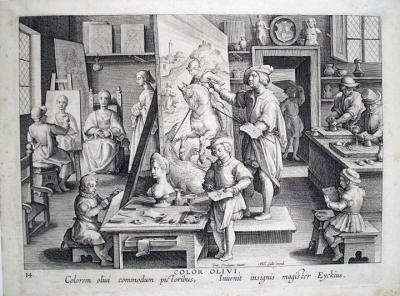 Graphic Arts (GA) French prints. 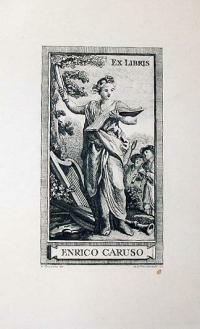 Princeton does not own a complete set of Prévost’s Collection des Fleurs et des Fruits (1805), which was published in twelve livraison or parts with four plates in each. We do have an index to the collection’s 48 plates and this exquisite botanical is not included. 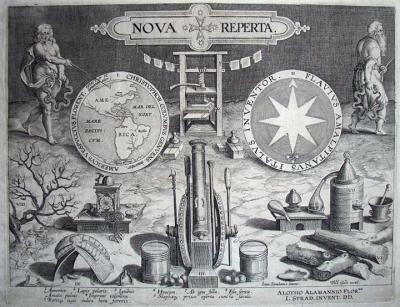 We assume our print is one of many that Prévost and Ruotte published separate from the 1805 Collection. Born in Nointel, France, Prévost was associated with the botanical artist Gerrit van Spaendonck and exhibited at the Academie Royale, as well as the Academy of Saint-Luc. His designs can be found repeated on many fine works of French china, toiles, and chintzes. A work of outstanding importance and interest, unlike anything published at this time, is Prevost’s Collection des Fleurs et des Fruits of 1805. This was issued for the specific purpose of maintaining the great French tradition for excellence of design and draughtsmanship. And it was Prevost’s hope that the forty eight plates of flowers and fruits would furnish patterns and inspiration to designers and manufacturers of china, toiles, chintzes, and other fabrics. Perhaps no other prints are more worthy of carrying on the tradition of Jean Baptiste and van Spaendonck than these fine examples of Prevost. 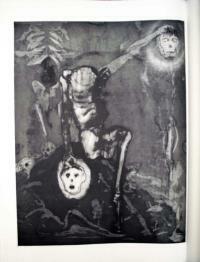 Michael Mazur (1935-2009), Michael Mazur etchings: L’inferno [by] Dante; with selections from the Italian translated in an English version by Robert Pinsky (Georgetown, Mass. 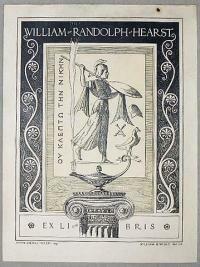 : Printed by Robert Townsend at R.E. 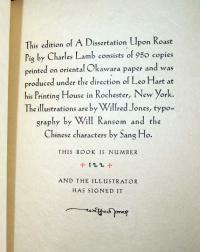 Townsend Editions, ). “The Italian text is excerpted from the Meridiani edition, Arnoldo Mondadori Editore.” Graphic Arts Collection (GAX), Oversize 2008-0023E. 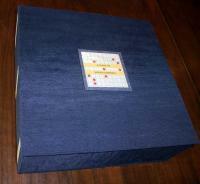 Gift of Michael Mazur. 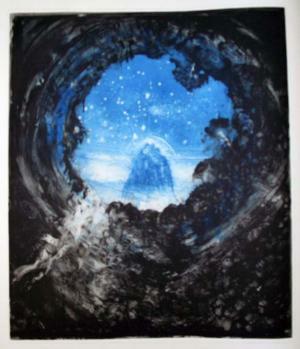 Mazur received a BA from Amherst College but courses in printmaking with Leonard Baskin at nearby Smith College convinced him to pursue a career in the visuals art. 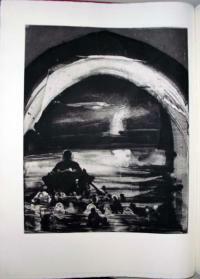 Mazur entered the School in Fine Arts at Yale University, where he received a BFA and an MFA. He taught at the Rhode Island School of Design and Brandeis University, before quitting to become a full-time artist at the age of forty. Recent one person exhibitions have been held at the Mary Ryan Gallery; Barbara Krakow Gallery; Fisher Gallery, USC, Los Angeles; Weil Gallery, Wheaton College; Galleria di Sottoportico, Venice; Zimmerli Museum, Rutgers University; Museum of Fine Arts, Boston; and Stanford Museum of Art, Palo Alto. …And now I can hear the notes of agony. 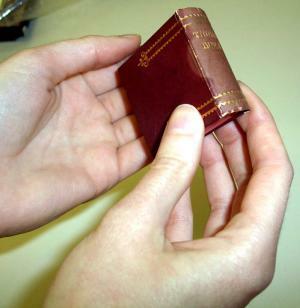 Welcome Miniature Book Society to your XXVII Grand Conclave in Princeton! Collectors, artists, and enthusiasts for small print will spend four lovely days in Princeton this week, holding meetings, touring, eating, and sharing their latest treasures (under 3 inches please). We will entertain the group on Saturday, August 29, 2009 with tours of the Cotsen Children’s Library, the Graphic Arts Collection, and the Princeton University Art Museum. Sunday afternoon is a huge book fair, which is open to the public: http://www.mbs.org/conclave.htm. If you are in the area, I recommend you drop by the fair. 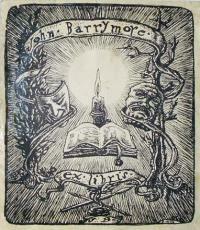 Pictured above: John Taylor (1580-1653), The Thumb Bible (New York: A.D.F. 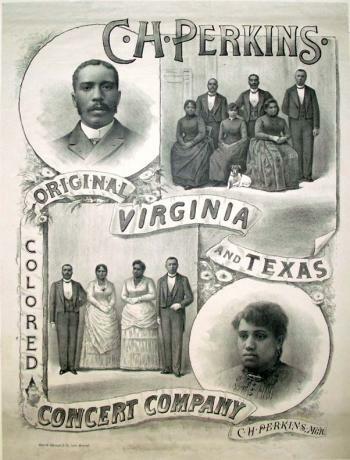 Randolph & Co. …, [1889?]). 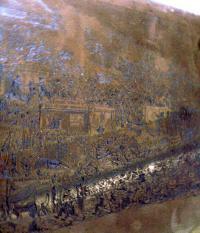 288 p. 49 x 54 mm. Facsimile reprint of Verbum sempiternum (Adomeit B89). 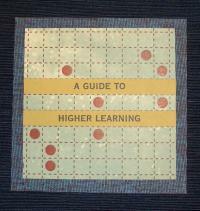 Graphic Arts Collection (GAX), 2007-0064S. Thank you for holding it Miriam. Cartoonist George Herriman had a number of early comic strips before he found characters that clicked, including Major Ozone, Musical Mose, Acrobatic Archie, Professor Otto and his Auto, Two Jolly Jackies, Goosebury Sprig, and The Dingbat Family. 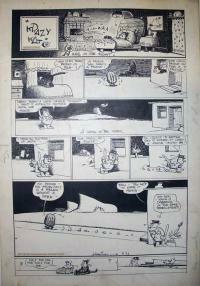 In the last strip, he began a subplot in the margins of the main story, which involve the family’s cat and mouse. 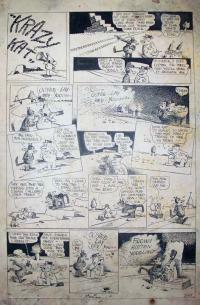 By 1913, the black cat and white mouse got their own strip called Krazy Kat. 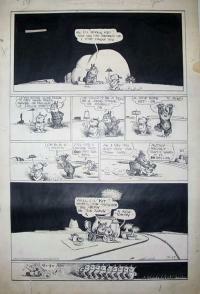 The cartoon ran for over thirty years and was going to continue after Herriman’s death but when William Randolph Hearst saw the work of the new artists, Krazy Kat came to an end. 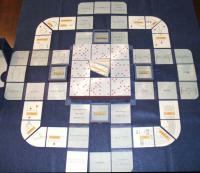 There were a number of spin-offs. 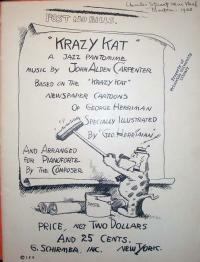 Herriman partnered with the composer John Carpenter to create Krazy Kat: A Jazz-Pantomime, which opened at New York’s Town Hall in January 1922. 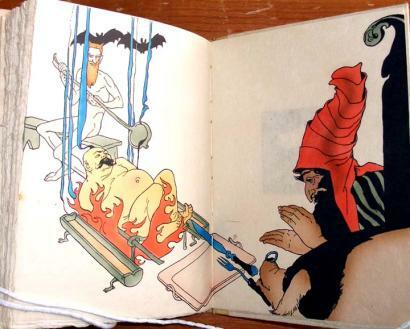 Herriman not only wrote the scenario but also designed the scenery and costumes. 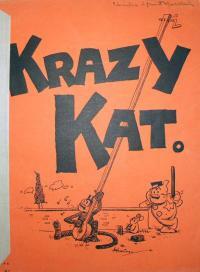 Princeton is fortunate to hold several of Herriman’s original Krazy Kat panels in the graphic arts collection. 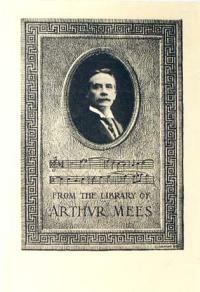 Mendel Music Library has the score for his Jazz-Pantomime, along with a DVD of Carpenter’s score. 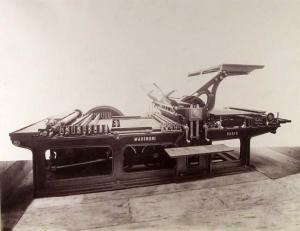 Louis Lafon (active 1870s), Marinoni Printing Press. Albumen silver print from wet collodion negative, 14-1/4 x 18-1/4 in. 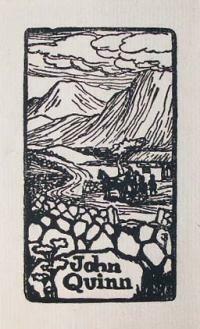 (362 x 464 mm), ca. 1880. Very little is known today about the French photographer Louis Lafon. 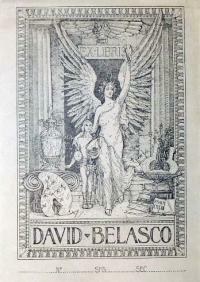 According to the Metropolitan Museum of Art, “He was based in Paris, photographed primarily industrial subjects, and won a medal for his submissions to the 1874 exhibition of the Société Française de Photographie.” The name does not appear in the standard biographies but a group of his prints is making their way into collections around the country and it will not be long before he is better understood. 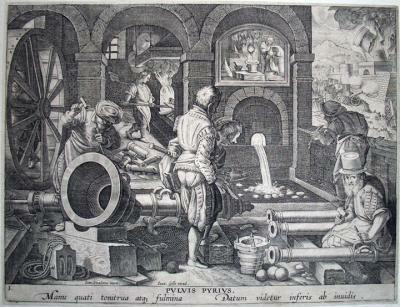 Lafon made this mammoth photograph of one of Hippolyte Marinoni’s printing presses, also known as Presse Universelle. High speed, continuous paper printing on machines like this revolutionized the printing industry in the nineteenth century. 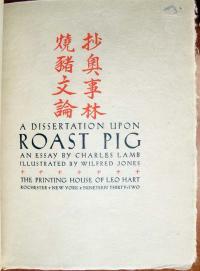 A nice description of rotary printing can be found at http://chestofbooks.com/crafts/scientific-american/sup3/Marinoni-s-Rotary-Printing-Press.html. If you want to see the press in action, there is a YouTube video of a Marinoni press similar to Lafon’s photograph at http://www.youtube.com/watch?v=rRjoOTFKZDw. Coming up this winter is an exhibition of author portraits. 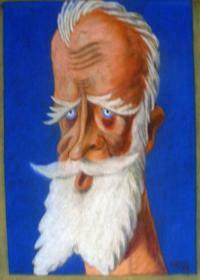 Included will be this pastel caricature of the Irish playwright G. B. Shaw, created in 1938 by an artist using the pseudonym Rackell. Who is Rackell? This name does not turn up in any of the standard art history sources, or in Shaw biographies. 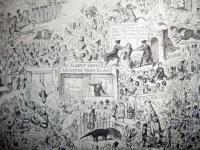 Surely someone out there knows someone who can give us some information on this artist or the making of this drawing? During the 1930s, Shaw published several full-length plays including Too True to Be Good (1931), On the Rocks (1933), The Millionairess (1935), and Geneva (1938). 1938 is also the year Shaw received an Oscar for his screen adaptation of Pygmalion. 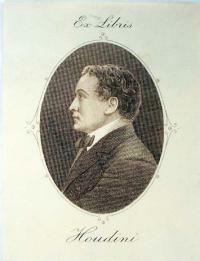 This portrait may have been one of the many tributes Shaw received due to the critical success of that film. Sincere thanks if you would forward this post to anyone who might help with our research. 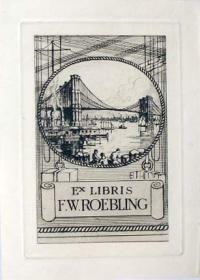 From the box marked "Celebrity Bookplates"
Otherwise, this celebrated organization is not mentioned in any of the major newspapers or magazines of the period. 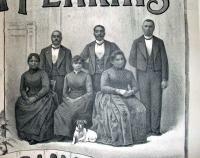 Not mentioned in the International Index to Black Periodicals; African American Music Reference http://aamr.alexanderstreet.com/; African American Newspapers: The 19th Century (1827-1882); the archives of the Center for Black Music Research, Columbia College, Chicago, http://www.colum.edu/cbmr/; or the The Harvard Guide to African-American History. We did however have luck with the dating by matching the clothing in the index: http://www.marquise.de/en/1800/index.shtml). 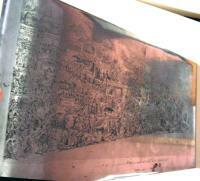 Cruikshank printing plate for "The Tail of the Comet of 1853"
After the demise of The Comic Almanack in 1853 (see posting September 2008), George Cruikshank (1792-1878) tried to publish a magazine under his own name: Cruikshank’s Magazine. 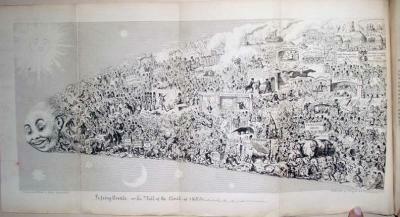 It only lasted two issues, January and February 1854, but opened with the spectacular fold-out “Passing Events, or, The Tail of the Comet of 1853.” This 15 ¼ x 7 inch sheet includes hundred of figures chronicling the events of the previous year. 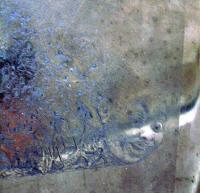 Princeton is fortunate to hold the steel printing plate for this etching. Although it is hard to photograph, I’ve posted a few images to give you an idea of the complexity of this plate. 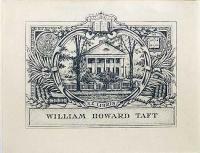 The iconography includes Albert Smith’s lecture on Mont Blanc, a prize cattle show (along with a beef dinner close by), emigration to Australia, and Harriet Beecher Stowe’s Uncle Tom’s Cabin. Although Princeton is sadly missing, the New York’s Crystal Palace can be seen at the top right just above a peace conference. 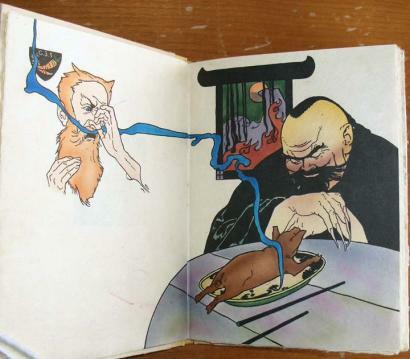 Also depicted is the war between Russia and Turkey, spirit rapping, table turning, ceiling walking, John Gough and the temperance movement (see post December 2008), Charles Keen’s Sardanapalus, Captain McClure and the North-West Passage, and much more. 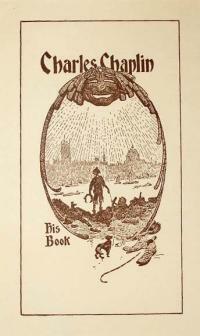 In his lifetime Cruikshank created nearly 10,000 prints, illustrations, and book plates. 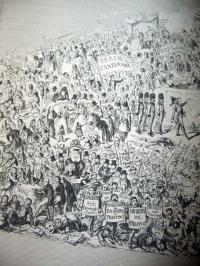 Princeton holds the largest set of Cruikshank material in this country, including prints, drawings, watercolors, illustrated books and magazines, proofs, correspondence, and printing plates. The collections are open to the public Monday to Friday. The German aviator Manfred von Richthofen (1892-1918), also known as the Red Baron, was the commander of a World War I squadron dubbed The Flying Circus. Together, they shot down eighty-nine British airplanes from 1916 to 1917, when Richthofen was finally wounded. This 1917 photograph shows Richthofen receiving a medal from Paul von Hindenburg, while Erich Ludendorff watches. 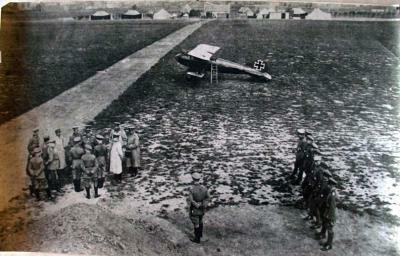 His red Albatros D.III is seen in the background. The following is a portion of Richthofen’s book Der Rote Kampfflieger, from the English language version translated by J. Ellis Barker and published in 1918 under the name The Red Battle Flyer. I was flying with the squadron and noticed an opponent who also was flying in a squadron. It happened above the German artillery position in the neighborhood of Lens. I had to fly quite a distance to get there. It tickles one’s nerves to fly towards the enemy, especially when one can see him from a long distance and when several minutes must elapse before one can start fighting… We Germans had five machines. 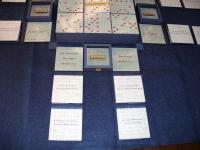 Our opponents were three times as numerous. The English flew about like midges. It is not easy to disperse a swarm of machines which fly together in good order. It is impossible for a single machine to do it. It is extremely difficult for several aeroplanes, particularly if the difference in number is as great as it was in this case. However, one feels such a superiority over the enemy that one does not doubt of success for a moment. I watched whether one of the fellows would hurriedly take leave of his colleagues. There! One of them is stupid enough to depart alone. I can reach him and I say to myself, “That man is lost.” Shouting aloud, I am after him. I have come up to him or at least am getting very near him. He starts shooting prematurely, which shows that he is nervous. So I say to myself, “Go on shooting. 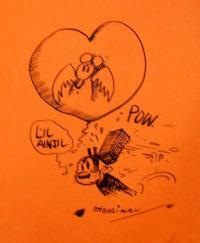 You won’t hit me.” He shot with a kind of ammunition which ignites. So I could see his shots passing me. I felt as if I were sitting in front of a gigantic watering pot. The sensation was not pleasant… But suddenly I heard a tremendous bang, when I had scarcely fired ten cartridges. Presently again something hit my machine. It became clear to me that I had been hit or rather my machine… I went right down. Instinctively I switched off the engine and indeed it was high time to do this. When a pilot’s benzine tank has been perforated, and when the infernal liquid is squirting around his legs, the danger of fire is very great. In front is an explosion engine of more than 150 h. p. which is red hot. If a single drop of benzine should fall on it the whole machine would be in flames. I left in the air a thin white cloud. I knew its meaning from my enemies. Its appearance is the first sign of a coming explosion. I was at an altitude of nine thousand feet and had to travel a long distance to get down. This photograph was gift from Dr. Paul Van Dyke (1859-1933) class of 1881 and professor of Modern European History. He also donated a album of photographs taken by Lt. Edward C. Olds, class of 1909, during World War I. Manuscripts collection MSS CI199 (no.803). 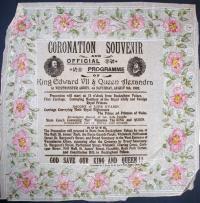 Graphic Arts holds a small collection of souvenir serviettes (paper napkins), chiefly from the 1902 coronation of Edward VII. The ceremony was originally scheduled for June 26, but two days before on June 24, Edward had to undergo an emergency appendectomy (at the time a dangerous operation). He recovered beautifully and the ceremony was rescheduled for August 9. However, this meant the napkin vendors had to purchase and reprint a completely new set of serviettes with the correct date. 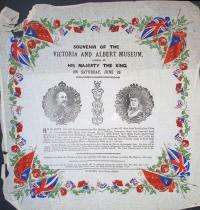 As noted in Michael Twyman’s Encyclopedia of Ephemera (GARF Oversize NC 1280.R52 2000Q), the first appearance in Britain of the printed souvenir table napkin was in July 1887 when a quantity of decorated blanks, brought from Japan, were overprinted by John Dickinson Ltd. for their annual dinner. The fashion caught on and before long large quantities of the flimsy squares were being imported. 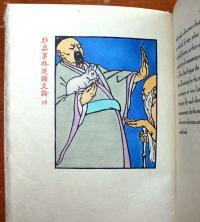 They carried a decorative border, which was printed in up to five colors in Japan; the locally printed commemorative message and image occupied the centre area, often overlapping the color border. 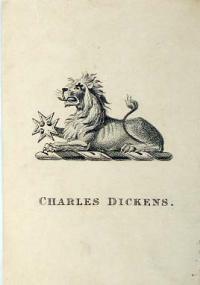 The printing was done by a few London firms who specialized in this genre, including S. Burgess of the Strand and Mathews of Hoxton. 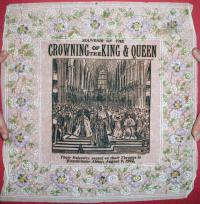 These napkins, along with other souvenirs, would have been sold by street vendors on ceremonial and processional occasions.